* Regular light bulbs are intentionally designed to burn out so that customers are forced to keep buying new ones. They contribute to substantial landfill problems. * Compact fluorescent lights contain toxic mercury which leaks into local environment, poisoning rivers, streams, oceans and croplands. * EcoLED lights contain NO mercury and last 50,000 hours. 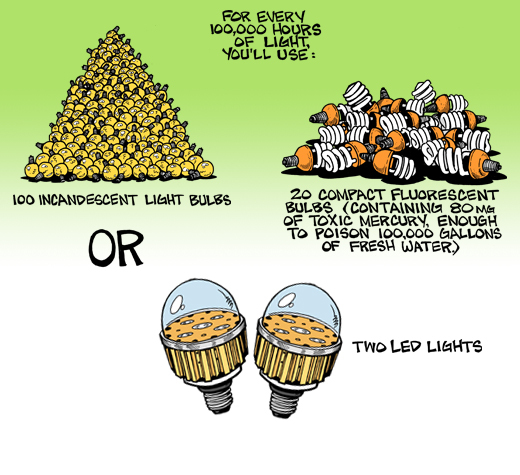 Using LED lights greatly reduces landfill and the load on the environment.